Technically I suppose this should be a reboot and revival edition. 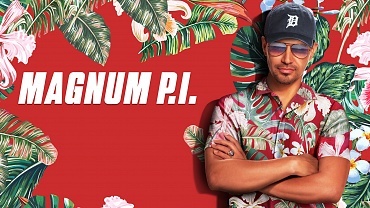 Reboots meaning re-imaginings with all new casts (Magnum PI) and reboots being old shows dragged from the pit with the same cast (Murphy Brown). Superficially, this show looks pretty much like the original. It has beautiful Hawaiian scenery, beautiful cars, and sense of the history of the original show; even TC’s helicopter is painted in the original colors. But still I hesitate… There were two things that bugged me in the pilot episode: First, there is a flashback to Magum, TC, and Rick being held prisoner in an Afghani prison camp. Really? The Taliban ran a Stalag 13-like prison camp? That was all a bit too much. And secondly… no Magnum mustache. I’m not sure I can get past that. If there was a radio contest with the question, “which TV show from the 90’s has the least chance of being rebooted?” I would have thought it would be an easy win with “Murphy Brown.” But no, this show is being dragged out of its crypt. Murphy Brown had barely made a ripple in reruns, given how dated the subject matter of the show. Although not as overtly political as Murphy Brown, Last Man Standing is a suitable replacement for the late, lamented Roseanne. The revival pilot features a lot of meta comments about Fox and the fact that the middle daughter has been recast (again.) It’s show message on divisiveness was a little too preachy, but hopefully the show will settle down and just tell amusing stories, which is about all we can expect from a sitcom. And speaking of Roseanne, The Connors debuted to meh ratings. And no wonder, since this version of the Roseanne show, sans Roseanne, smacks of a network attempt to recoup some of the cash they threw away when they cancelled the show in a fit of virtue signaling. TVInsider’s poll, taken before the premiere, asked the question, “will you watch The Conners without Roseanne?” ‘No’ won at a staggering 76%. Yet I still watched the premiere episode, and I have to say, it wasn’t that bad. The show revolves around the fallout after the death of Roseanne’s character from an opioid overdoes (natch). The show was sensitive to the topic, while still managing to squeeze some laughs in. Although Roseanne had always revolved around the strong personality of its lead character, the show has a very strong cast which under normal circumstances could carry any show on their own. Dan Goodman, Laurie Metcalf, and Sara Gilbert should have more than enough heft to carry the show. That doesn’t mean I have an interest in watching it however. What made the revival interesting was the Trumpiness of Roseanne’s character. I suspect that aspect is in the grave just as surely as is Roseanne’s character. This entry was posted in TV & Movie Reviews and tagged #Roseanne, Last Man Standing, Magnum PI, Murphy Brown, The Conners, TV Reboots, TV Reviews, TV Revivals. Bookmark the permalink.